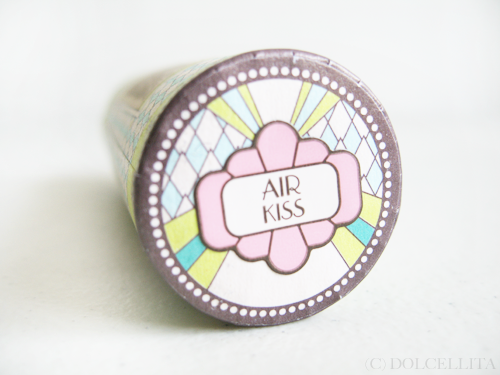 Ari's In Wonderland: Review: Benefit Hydra-Smooth Lip Color in "Air Kiss"
Review: Benefit Hydra-Smooth Lip Color in "Air Kiss"
Another product I received from Benefit's product launch back in July was something from their new Hydra-Smooth Lip Color line. If I'm not mistaken, it was released locally just this September. 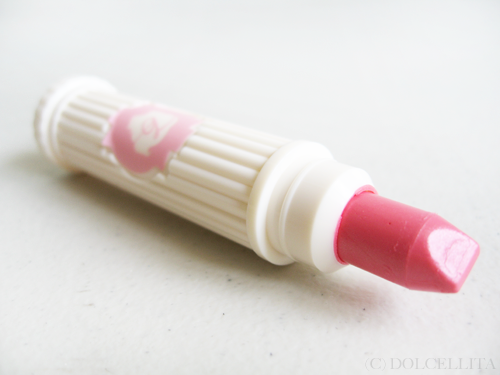 I'm a self-proclaimed lipstick fiend, so of course I have to do a review on this too! The outer packaging alone is to die for. Am I the only one that's getting Great Gatsby vibes from it? Trust Benefit to come up with the best vintage-inspired designs for their products. The shade I received is 'Air Kiss' which falls under the sheer category and is described as a 'bubblegum pink'. 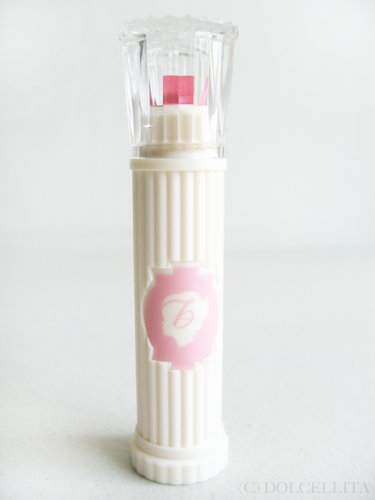 How cute is this tube? It doesn't have the sleekest design (not a fan of the cap with its hard and sharp ridges especially), but it's unique and I love the Benefit logo sticker, even if it's not aligned properly. Haha. On the left, it looks like a little bit of the product 'overflowed' from the tube, but that's okay. I like the double slanted tip on the lipstick itself because it easily allows me to be precise when applying it and you all know how much I need to be precise with my very defined lip shape. You don't get a whole lot of product, which is a bit disappointing. This is certainly the least amount of product I've ever gotten with any lipstick product. But since the lipstick is sheer and can only be buildable up to a point, meaning that it reaches full opaqueness after a certain number of swipes, this can still last you quite a while. 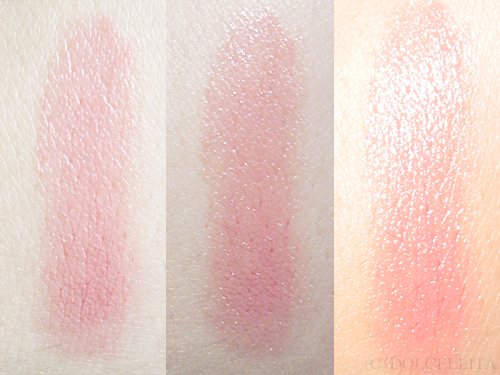 From the swatches alone you can already see it's definitely a sheer type with a glossy finish. I love the shade of it though. It's a true bubblegum pink, as Benefit described, with minute glitter particles so it has also has some subtle shimmer. I can describe this as an MLBB (My Lips But Better) color almost. I'm usually not a fan of sheer lipsticks because truthfully I find them pointless. If I wanted a sheer lipstick, I might as well reach for a lipgloss. I can't deny that this is a lovely shade though, perfect for sporting during the day especially, and it applies very smoothly. It's not drying, but it's not particularly moisturizing either. It can also cling to dry spots so I still suggest prepping with a lip balm and/or scrub beforehand just in case. Wear time isn't great, though you can expect the same thing from most sheer lipsticks really. Don't expect this to last through a meal. You'll need to retouch even after just drinking too. Thankfully, since it's not highly pigmented, then retouching is quick and easy. Another thing I like is that the combination of the shade and the glossy finish almost makes my lips look healthier and fuller, don't you think? Overall it's a nice lippie, especially if you're the kind that prefers the sheer type since it gives just enough color to liven up both your lips and complexion. I'll definitely be purchasing another Hydra-Smooth Lip Color for myself, but this time I'll take my pick from their medium-full range! Very cute, unique, and high-quality packaging. Available in nine other shades with three levels of coverage. It has shimmer, but it's subtle. The combined shade and finish almost makes my lips look plumper and healthier. 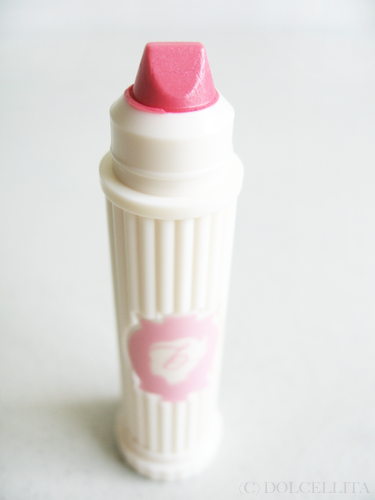 Lipstick doesn't fully retract into the tube until it's been used up significantly, risks damage from the cap. Poor wear time (but it is a sheer lipstick, so I can't really deem this as a bad feature). @MissApriil I think those who love their sheer lipsticks would happily shell over the money, but as for me, it'd have to be lipsticks with at least medium coverage :) And I love the MAC creme sheens too! @RebelSweetHrt Thank you! I'm glad it has that added benefit, haha. Benefit products never fail to amaze me. The packaging is cute even the bullet shape. The color is perfect for everyday use. the packaging is cute, like all other Benefits products! =) Shame there isnt much product though.. I thought it was just a beautiful canister! But then, it was more than that! Love the color! @disqus_XKIR0jIdBU Same here! I always end up nicking the lipstick at some point. Always! The packaging is so cute! 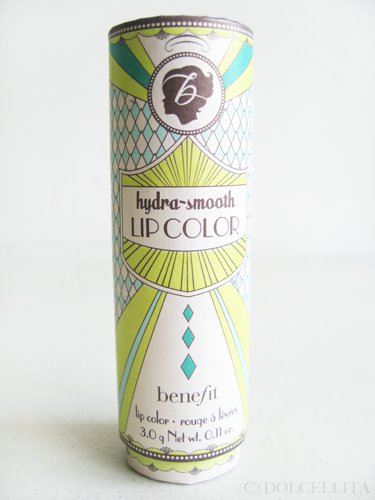 I prefer lip products like this because my lips tend to flake and get dry SO easily - nice find! I feel like every time I read a review, it's about how amazing a different Benefit cosmetic is. I think this is a sign from the gods that I need to finally try out this brand. ;) Thanks for such a thorough review. I would really like to try this shade. the color is sheer but very pretty! I absolutely love the packaging!. I´m in love with!. Benefits products are great most of the times, so I would love to try some of the shades of this collection!. I love Benefit & it's really cute packaging! Awesome packaging. I also love the shape of the lipstick! @genzelkisses You're welcome! And yes, at least this is easy to retouch whenever you need to. Sometimes I don't even need a mirror anymore with sheer lipsticks. @dishysammy It's a perfect everyday pink for me too and I think it'll suit a lot of different skin tones, which makes it better. @8b1e8dc2f9a199d780a6a3a731dc403c Me too! If it wasn't sheer, I'd love the lipstick even more. @k_yap I know what you mean. I sometimes wear bold lipsticks to try and detract attention away from my less than perfect complexion! @jakesauvage My lips are the exact same, which makes my love for matte lipsticks difficult to deal with sometimes. lol! That's why I always use a lip scrub every other way :) This lipstick is thankfully not drying at all. @8b1e8dc2f9a199d780a6a3a731dc403c Yes, you do unfortunately have to wait until you've used up almost half the lipstick before it retracts fully. @choulyin The packaging is cute, but it's not the most practical basically. @maiarose It's definitely sheer, but still opaque enough to show off a distinct shade of pink which I like. that's true! their lip glosses are vivid and non-sticky! This is soooooo pretty!! OMG, OMG!! Looks great on your lips. :) I love the outer packaging, but the tube looks a bit childish. benefit packaging and design is always so pretty and cute. The packaging is simply amazing!!!! I'm going to get this for the packaging alone! LOL I'm not crazy about sheer lipsticks, but this does give a nice natural looking finish. @Beauty_Blogette Thanks! Yeah, it does sort of remind me of play makeup that I used to collect actually, haha. In love w the way it looks! so cute and the pink its refreshing and sweet! really like that color on u!